The 2019 World Cup is around the corner and expectedly the buzz surrounding it has been massive. Teams have started to announce their 15-man squads and New Zealand were the first to do it. Australia too announced their squad earlier today. 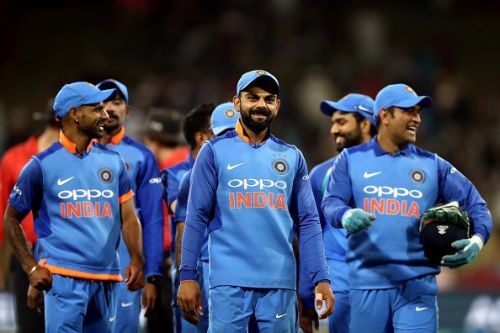 Last week, it was announced that the two-time champions India would reveal their squad today and the wait is finally over as India’s squad for the 2019 World Cup is out. The selectors did not take long to announce the 15-member squad and it was more or less on the expected lines. Most the squad picked itself and barring a couple of spots, there wasn’t a lot of debate either. Hence, let’s take a look back at the talking points from India’s World Cup squad selection. India’s No. 4 in the ODI team had nearly become a national debate. Since the start of 2017, as many as 11 players were tried at that spot. Ambati Rayudu was the only player to have gotten an extended rope. He played 14 innings at that spot, scoring 464 runs at an average of 42.18 which included a couple of fifties and a hundred. Dinesh Karthik and Yuvraj Singh were other players to get a decent run (nine innings each). Ajinkya Rahane, KL Rahul, Manish Pandey and MS Dhoni are the other notable ones who had a shot at the coveted No. 4 spot. 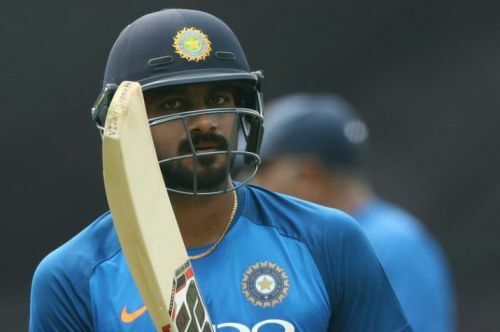 However, the selectors have decided to name a new man for the role and it is Vijay Shankar. The Tamil Nadu all-rounder has moved up the pecking order in the last few months. Hardik Pandya’s injury came as a blessing in disguise for him as he was drafted into the squad. He showed some good temperament on a couple of instances when India were under pressure in New Zealand and in the series at home against Australia. Moreover, he can chip in with the ball and is a live-wire in the field as well. Hence, his ability to contribute in all three departments tilted the balance in his favour. As far as Rayudu is concerned, he had the backing of skipper Virat Kohli in the West Indies series in October last year. However, his form has been pretty patchy in the last few months. He tends to struggle against pace and has failed to up the ante as well at times. His struggles in the ongoing IPL might’ve also gone against him. “After the Champions Trophy (2017), we tried quite a few people in that position. We did give a few more chances to Rayudu. Vijay Shankar is three dimensional. We are looking at him at no. 4 to begin with. We also have Dinesh Karthik and Kedar Jadhav. It's not that anything that went against (Rayudu), it's that a few things went for Shankar,” MSK Prasad said in the press conference post the selection meeting.